Broan manufactures utility & ventilation fans for a niche market. This niche market is mainly for washroom and bathroom usage. 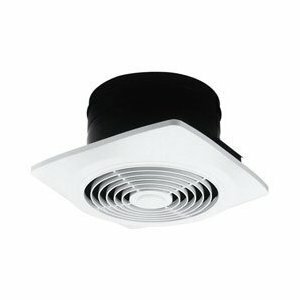 Broan ventilation fans are generally installed in the ceiling above the sink or toilet. 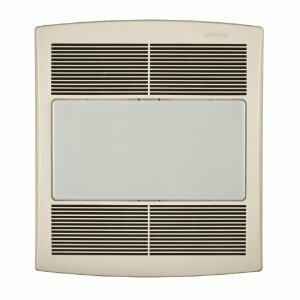 In a washroom or bathroom setting, these exhaust and ventilator fans serve a few purposes. First, a ventilation fan in your bathroom is useful after having a shower. The fan can be turned on and it will remove the moisture from the air. If you don't have one of these fans installed in your bathroom, and have no ventilation, the air filled with moisture will slowly degrade your bathroom. The moist air can lead to mold. Also, it can lead to your paint and tiles cracking in your bathroom long before their life is up. This is due to the saturation of the moist air. Another thing that your ventilation or utility fan in your washroom will help with is odor. After using the washroom, there may be some odors that you need to vent. This happens! After all, we are all human. You will need to vent these gases and you will need a proper ventilation or utility system to do it. This is where Broan comes in. Since 1932, Broan-NuTone LLC has led the industry with forward-thinking residential ventilation products, unsurpassed built-in convenience products and superior customer service. While global expertise plays a critical role in Broan-NuTone's ability to being able to meet and exceed the needs and desires of homeowners and designers alike, Broan-NuTone is very proud of the fact that over 80 percent of their products sold in the United States are designed, engineered and manufactured in the United States with U.S. and imported parts. Manufacturing operations in the United States are located in Hartford, Wisconsin and Cleburne, Texas, with customer and technical services located in Hartford and in Cincinnati, Ohio. Broan-NuTone is committed to developing revolutionary products that improve the indoor environment as well as implementing procedures to preserve the outdoor environment. 110 CFM and nearly silent operation. 1.5 Sones. 4-Inch ducting. Motor engineered for continuous operation. 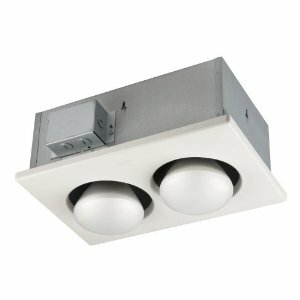 UL Listed for use over tub/shower with GFCI circuit. Bright 100-Watt incandescent and lighting 4-Watt nightlight - bulbs sold separately. Traditional styles for more conservative budgets. For the bath that's not used everyday you may not have to be as concerned about energy efficiency. The QTR line was designed to satisfy that need. 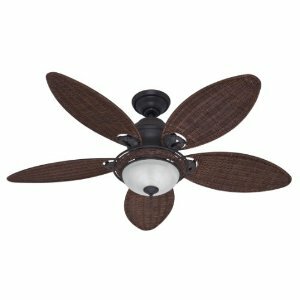 The fan and fan/light models are still among the quietest products in their category, but feature bright incandescent rather than fluorescent lighting. Since they're a perfect match to the QTRE line, they're an ideal design solution for any bath or powder room. Since 1932, Broan-NuTone LLC has led the industry with forward-thinking residential ventilation products, unsurpassed built-in convenience products and superior customer service. While global expertise plays a critical role in Broan-NuTone's ability to being able to meet and exceed the needs and desires of homeowners and designers alike, Broan-NuTone is very proud of the fact that over 80 percent of their products sold in the United States are designed, engineered and manufactured in the United States with U.S. and imported parts. Manufacturing operations in the United States are located in Hartford, Wisconsin and Cleburne, Texas, with customer and technical services located in Hartford and in Cincinnati, Ohio. Broan is the industry leader of range hoods, ventilation fans, heater/fan/light combination units, Indoor Air Quality (IAQ) Fresh Air Systems, built-in heaters, whole-house fans, solar powered attic ventilators and trash compactors. NuTone holds major market positions in door chimes, central vacuum systems, stereo intercom systems, home theater speakers, medicine cabinets, ironing centers, ceiling fans and ventilation fans. BEST range hoods are the "Ultimate in Kitchen Ventilation" featuring state-of-the-art performance and Italian design. 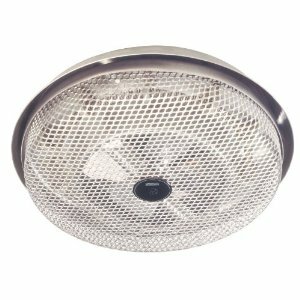 Broan decorative ventilation fan and light is the best suitable choice for your bathroom as it is very efficient and can be easily installed to the bathroom ceiling with its sturdy key-holed mounting bracket. 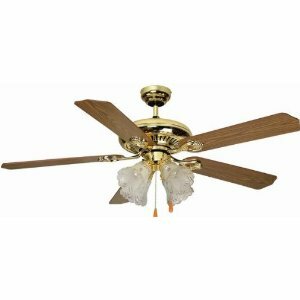 Ceiling fan uses two 60 watt incandescent bulbs and is in a galvanized steel base and frosted glass casing and the steel is corrosion free so can be run for a long time. 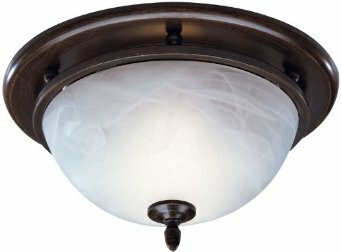 Plug-in light fixture can be removed or re-fixed depending on your comfort. Decorative light and fan is also help you keep your bathroom walls and floor with out moisture so that fully ventilated and a neat and clean appearance make you feel fresh when ever you enter. 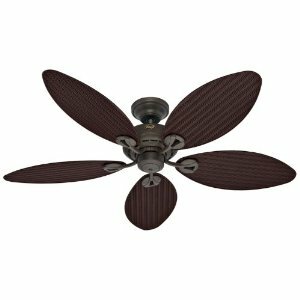 Available in oil rubbed bronze finish, part number is 754RB and product dimensions are 13.1 x 13.1 x 6.5 inches. 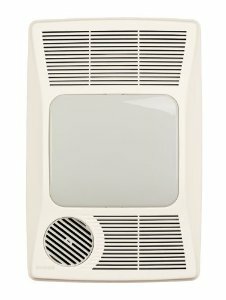 Broan-Nutone bathroom heater/fan with light fixtures is the perfect choice for your usage as it is a very efficient product giving warmth to your bath room. Fan is with 100 CFM and operates with out any noise. 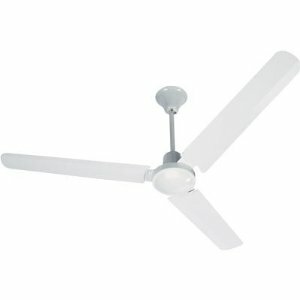 100 watt incandescent light is used in the fan and requires 20 amperes circuit. Product is HVI certified and is of type IC. 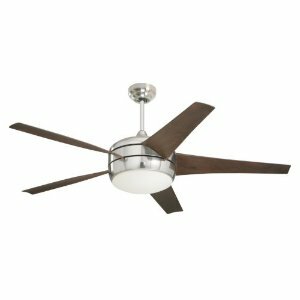 Ceiling fits in to 2 inch by 6 inches ceiling easily and fan motor operates continuously with out obstructions. This is a very efficient product of its kind. Heater can be adjusted 360 degree directionally which gives a comfortable warmth at your required area.